Malibu. California. 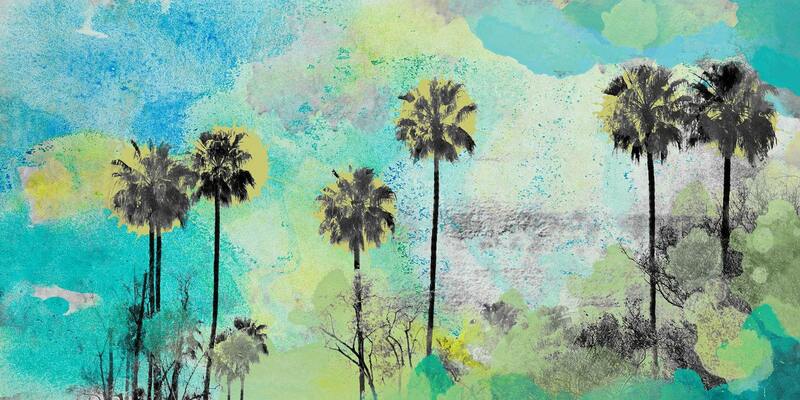 Palm trees Canvas Print by Irena Orlov Large canvas up to 60"
Square canvases: 16 x 16", 20 x 20 ", 24 x 24" , 30 x 30", 36 x 36", 40 x 40", 48 x 48"
☼ Medium: Giclée canvas print of original painting by Irena Orlov. ☼ Finish: High quality 1.5" deep gallery wrapped canvas print. No need for a frame - just hang it and love it. Ships within 3-7 days from date of purchase. fashion paintings, dancing painting, feathers, fluid abstracts, forest landscapes, fruit photography, fruits and vegetables still life, Hollywood sign, iconic women, ink and water, watercolor painting, kitchen art, line drawing, love, movie posters, moody trees, motorcycle painting, nightscapes, palm trees print, aircraft posters, planes poster, quotes and sayings, railroad print, ships at sea, skulls art print, surf art, tulips art, the female body art, urban abstracts, US State Map Designs, Wild horse painting, winter print, giraffe print, fish print, elephant art print, pelican print, birds on wire print, peacock print, peacock painting, peacock feather print, zebra print, blue accent, agave print, desert print, grapefruit print, tomato print, apple print, best sellers prints, red painting, green painting, 16 x 20" art print, 24 x 24" art print, 18 x 24" art print, 30 x 30" art print, 40 x 40" art print, 48 x 48" art print, 24 x 36" art print, 30 x 40" art print, 36 x 48" art print, 40 x 60 " art print. Multicolor art prints, bright colors prints, pastel prints, watercolor prints, soft colors prints, colorful, black and white by Artist Irena Orlov.